In ancient traditions, the lovely festival of May Day marks what is considered the first day of summer in Celtic lands. For many years, we have upheld this tradition, gathering in an open field to dance the Maypole in the mid-day sun, as it is done up North. This year, we will be adapting this sweet festival for our own climate and culture, by celebrating the coming of summer with a beach evening, and dancing the maypole at sunset. 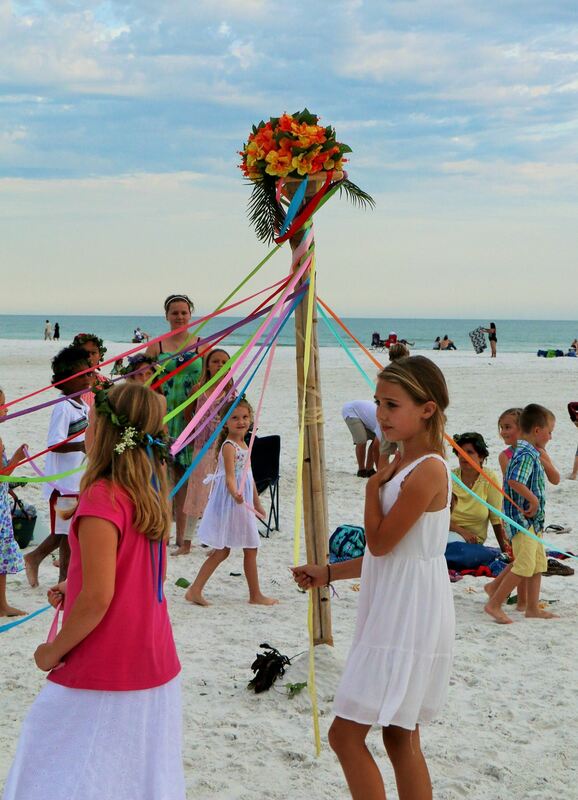 Maypole dancing on a breezy evening at the beach. Live music and maypole dancing.